Food served from 12pm daily. For full pub and kitchen opening hours, visit our website. We had a lovely meal with our friends. It was very busy but the atmosphere and service was very good. Will definitely be returning again soon. My sea bream was delicious thank you. The waitress kindly offered us an alternative table as the original one she showed us was a bit too cramped so thank you for being understanding. I had a voucher that made the meal better value for money ! Excellent food and a lovely setting. Service was a little slow but it was busy and it gave us a chance to chat. Second visit here in last couple of months. Something of a drive for us, but well worth it. The staff are so friendly. The food is excellent. I like veg with a bit of bite, but these veg was near raw. Mains ok, puddings esp the cheese board was good. We’ve been to Red Mist before (The Duke of Wellington), which was great, but the Queens Head was way off the mark. Really lovely Valentines meal. Despite being very busy the service was good, nice atmosphere and lovely food. This was our third visit. We are always impressed by the warm welcome from the staff, the good selection of wine and food and the satisfied feeling when leaving. Food, spot on. Service excellent. Atmosphere quite but nice. Superb, excellent food, great service, very good value. We love the place - thank you. 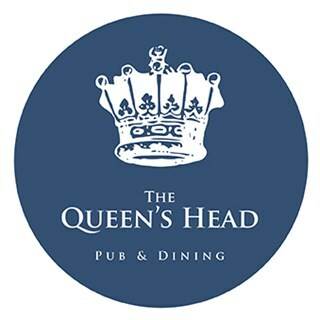 We visited the Queen"s Head for lunch on a Friday. The restaurant was busy and our table felt a little cramped. Also two or three dogs were in the small room. We were not asked if we were worried about having lunch in a room with dogs. The service was good but unfortunately the food was not. My husband started with the leek and potato soup which was a little thin and for our main course both of us had the battered haddock which was overcooked and extremely dry. The presentation always was poor with a large plate of chips and peas with the fish lying on top. The chips also were very dry as though they had been cooked at some point and then heated up after getting cold. On this basis I am sorry that I cannot recommend this restaurant and will not be returning. Coming for my birthday on 8th February 2019 with my wife and daughter (already booked table 13 at 7pm). Twice in one week that's how much we enjoyed being there!!! Staff were very personable and we enjoyed their interaction, which isn't always the case with waiting staff so thank you. We dealt with 4 members of waiting staff and they were all good. Tables a little close together but we were lucky as not totally full. We thought it represented great value - the half roast chicken was mahoosive and we used a £15 discount voucher making this an affordable treat. Thank you. The service began well but wasn’t sustained.